You know that grease build-up is instrumental in kitchen fires. But are you doing everything you can to make sure you have the best equipment to prevent grease build-up? 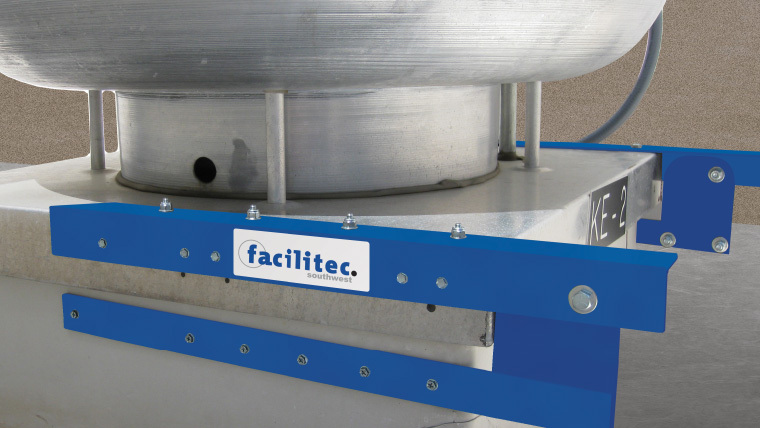 At Facilitec West, we install, clean and provide maintenance for a variety of grease containment products. Why is Grease Containment so Important? Cutting down on grease traveling to the roof. We provide free consultations. When we come out to evaluate your kitchen, we can help you determine if the products you have are meeting your needs, or if your kitchen would benefit from new equipment. We provide both grease filters for your exhaust hood and grease containment systems for your roof. Galvanized filters, the economical, low-cost hood filter option. Aluminum filters, a balance between lower cost and higher aesthetic value. Stainless steel filters, sturdy, aesthetically pleasing, and resistant to corrosion. All of those are adequate at capturing grease, however, we recommend enhancing your grease filtration by adding a Grease Lock fiber filter to your existing filter casing. They are compatible with all metal grease filters and are excellent at trapping grease; Grease Lock filters can significantly reduce your need for hood cleaning. Typically, the filter in your upblast kitchen exhaust fan won’t catch everything, even with a really high-quality grease filter. That’s why it’s absolutely essential to include a rooftop grease containment solutions. We recommend products by Omni Rooftop Grease Containment – such as the Omni Grease Gutter and the Omni Side Kick – we’ve found that they provide premium quality in grease containment. Ready for New Grease Containment Equipment? If you’re worried that your commercial kitchen needs better grease filtration and containment, give Facilitec West a call. We provide a free assessment to determine what your commercial kitchen needs are. Our team of experts will make sure everything is installed correctly – the first time – so you get the maximum benefit and use from your grease containment products. Contact us today at 888.463.2293.